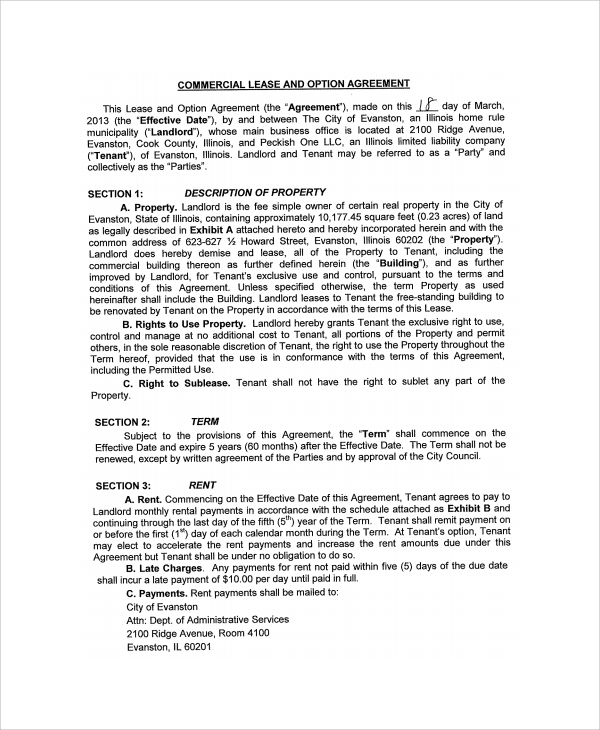 When a real estate property is purchased for a commercial purpose, the agreement that is made between the buyer and seller is this one, and you may make a legally accepted and totally perfect agreement for this purpose by following this format shown in the templates. 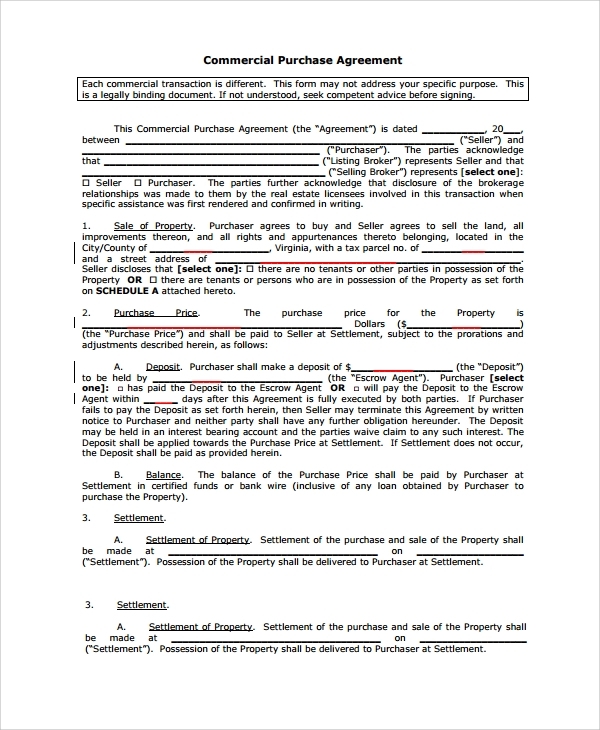 The commercial lease purchase agreement is made between the buyer and seller when a commercial property that was in a lease, gets transferred from the seller to buyer as buyer pay asked price for buying the lease and becoming the lessee. 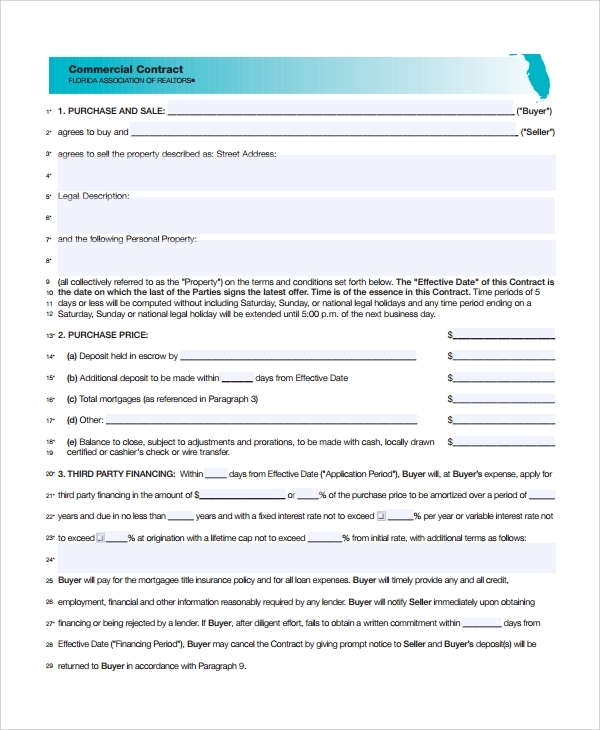 This kind of contract can be made with this template style. 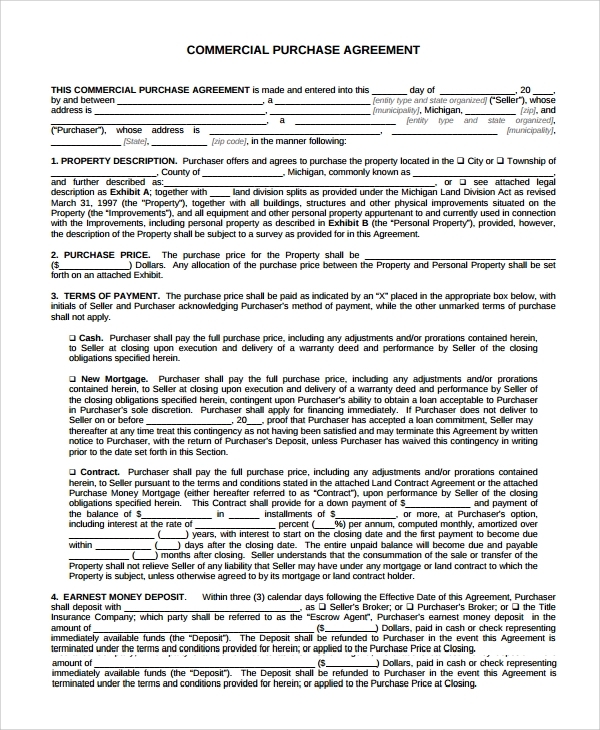 The property purchase agreement is done when a commercial property gets sold and the relevant agreement is made between the buyer and the seller. 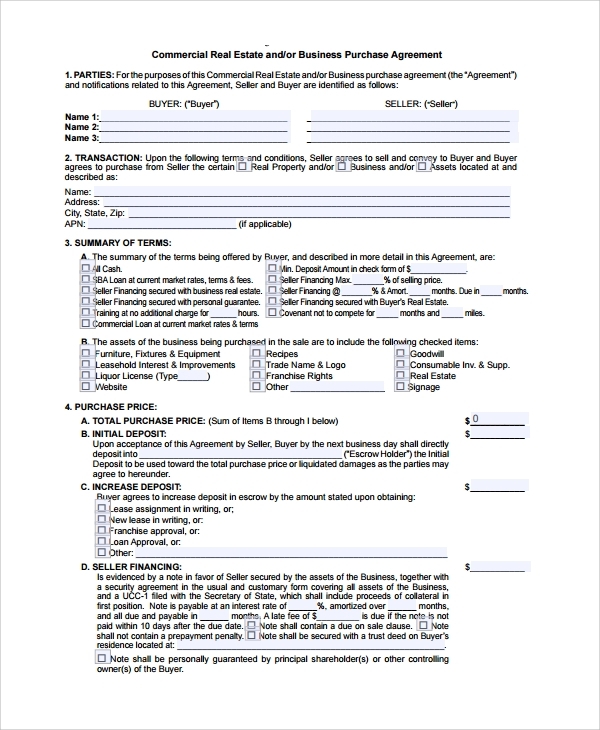 This type of agreement is much needed, and has to be made using this kind of template which gives a ready format to make the contract. 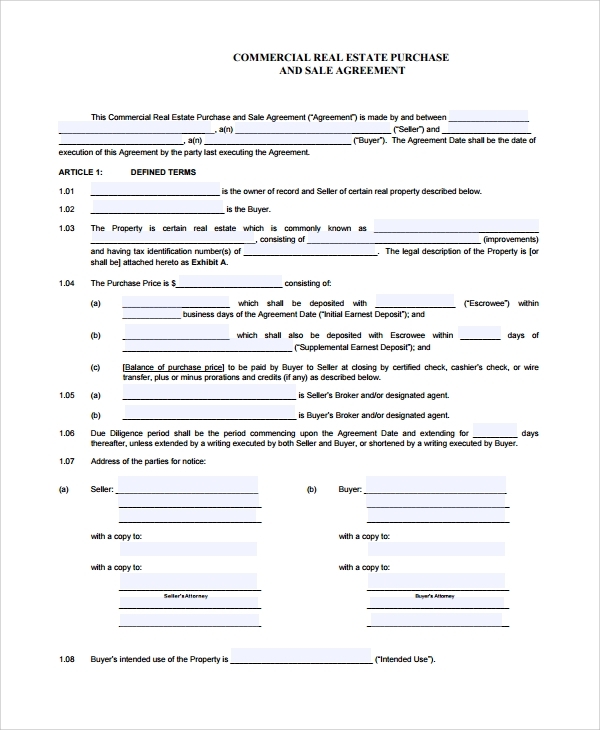 When to Use the Commercial Purchase Agreement Templates? 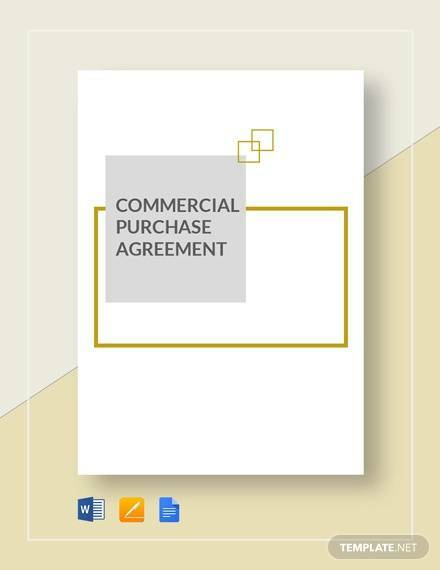 What is the Importance of the Commercial Purchase Agreement Templates? 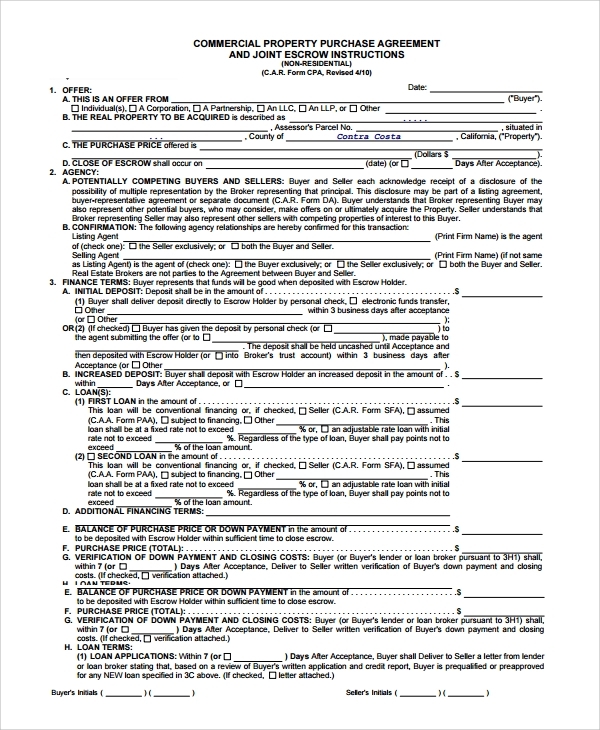 How to Use the Templates? When you are working with templates, you are always a step ahead in cost effectiveness, time usage and accuracy. 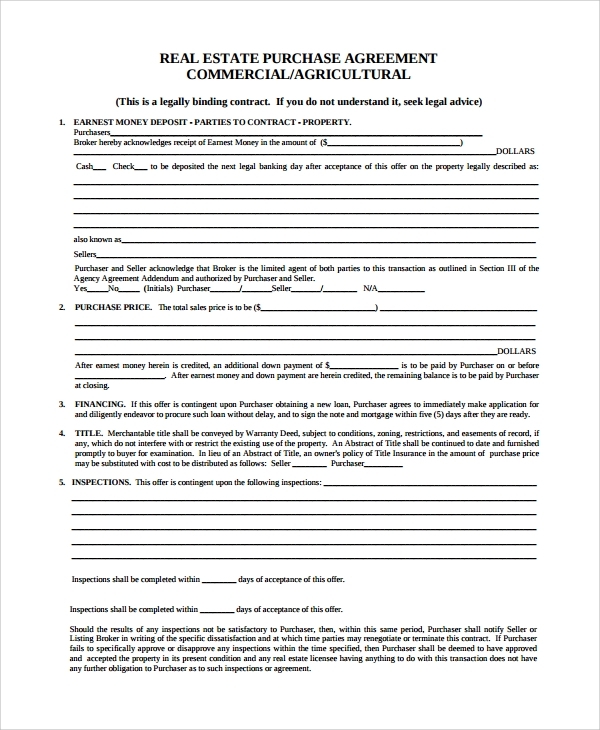 The commercial purchase agreement that will get ready through personalizing a template, will always be accurate and correct, universally accepted for the right format, and with a nice presentable style, given your personalized data are all correct.